The great British weather got the better of me today. The torrential overnight rain gave way to sunshine and tempted me out for one last bash at the pike before digging out the tench (or roach) rods. Hardly had I got set up than the sunshine disappeared and the easterly blew cold enough to make me put my woolly hat over the top of the baseball cap I was wearing to shade my eyes! I was starting to regret leaving the bunny suit behind. One bait went out to a reed edge, the other was dropped in the margin and after less than an hour that bobbin dropped off and line trickled off the spool. There was nothing there and the bait looked unmarked. A liner? Possibly. 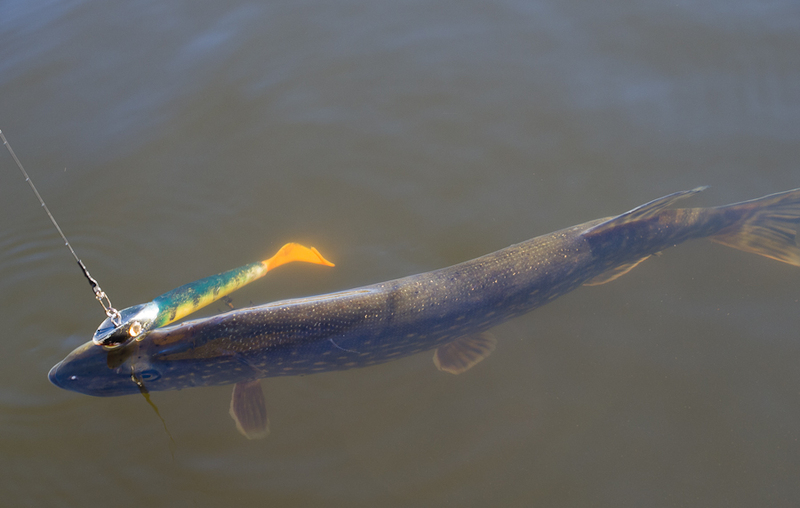 Partly to beat the drag from the wind I had removed my floats and was fishing legered baits to drop-offs. This also allowed me to relax without the constant need to keep checking floats. I was in a chilling out mood. So chilling that I'd put my waterproof jacket on to warm me up! I got itchy feet syndrome after a couple of hours and made a move. This was the cue for the weather to take it out on me one more time. I'd left my brolly at home. So the rain came as no surprise. Only light drizzle, thankfully. At least I'd put my overtrousers on so I was dry enough. Again I got an indication to one rod after an hour or so. A slack liner that once more was probably the result of a fish swimming into the line. It ended up as one of those sessions when I was willing it to go dark so I could pack up. That wasn't until three or four swallows had flown low over the water and settled in the reeds next to the first swim I'd fished. I bet they were wishing they'd stayed in Africa as they struggled to find a steady perch. 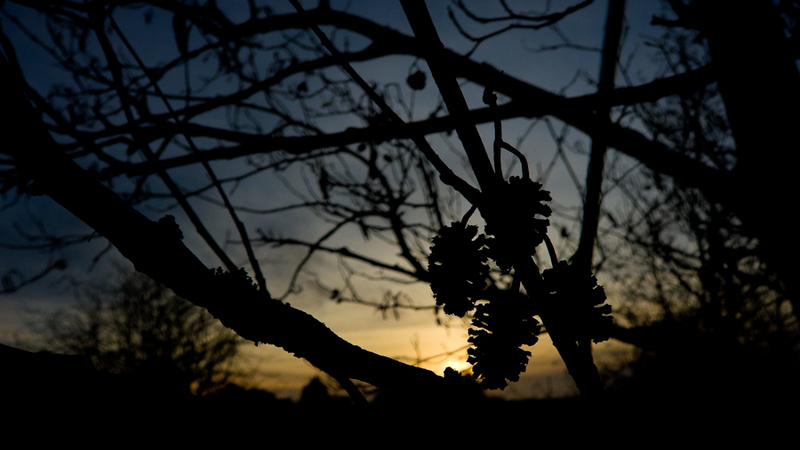 Blackbirds, thrushes and all manner of other birds were singing their territorial songs at dusk, while magpies cackled and a tawny owl hooted. With the clocks going forward tomorrow it'll be gone eight on Sunday when darkness comes making after-tea roach, tench and bream sessions on the cards. Where are my maggot tubs? Like most compacts my new camera is pretty good for close up stuff, and the results are perfectly adequate for blogging. 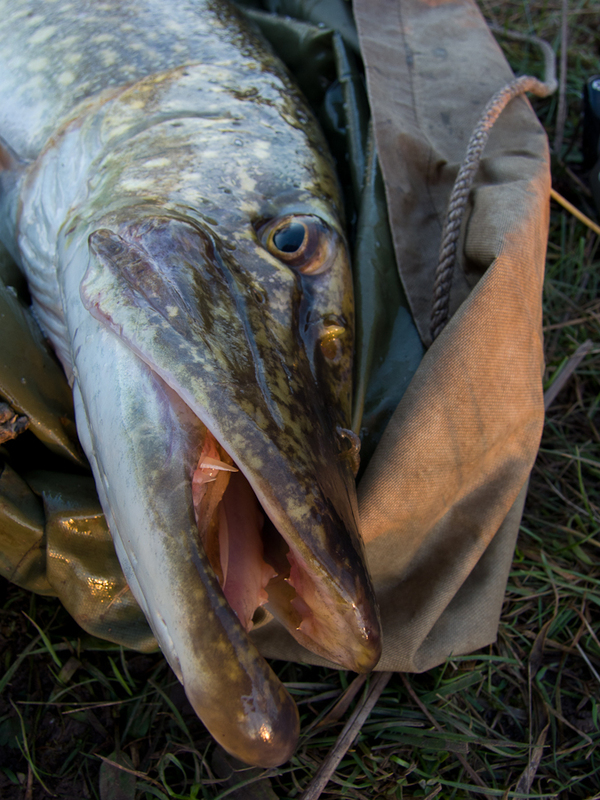 It was due a chance to photograph a pike or two. The sunshine was so warm through the back windows that I was down to a t-shirt for the first time this year. 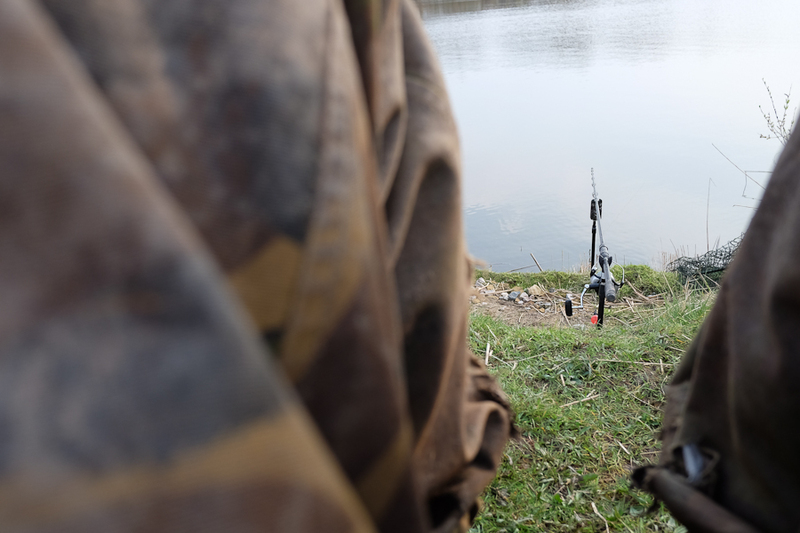 Despite the moaning cold weather pikers saying their seasons are over the day seemed pikey to me, and I thought there was a chance of a pre-spawn pike or two. Out of the sun there was still a chill. With it only going dark after six thirty there was no rush to get the gear together and I hit the water around three thirty. I had packed a different lure rod this time. I had a feeling I'd been bumping pike off because the rod was too soft. I'd been using the lighter Trickster because it was the only version I have (having sold my original heavier model) and it fitted in the quiver neatly. A suitable rod for smaller crankbaits and spinnerbaits but not my ideal jerkbait rod. I broke out the trusty Axiom 7013. I started out chucking the inevitable perch pattern Squirrely in a few swims before moving to one where I thought the deadbaits might have a chance. Before settling down I had a cast past some snags and almost at the last minute a lively scamp nailed the lure - and stayed hooked! With the camera living in my fleece pocket it was simple to take a couple of 'action' shots. With a blank averted I put the lure rod away and sat back to soak up the sun. Despite my confidence the swim I'd chosen didn't produce anything in the first hour. It was decision time. Head for a banker swim or try a fresh one. The bankers have got boring so, with nothing to lose, I moved to a swim I hadn't fished before and chucked the smelt out to the reed line and dropped the lamprey head in the margin to my left. 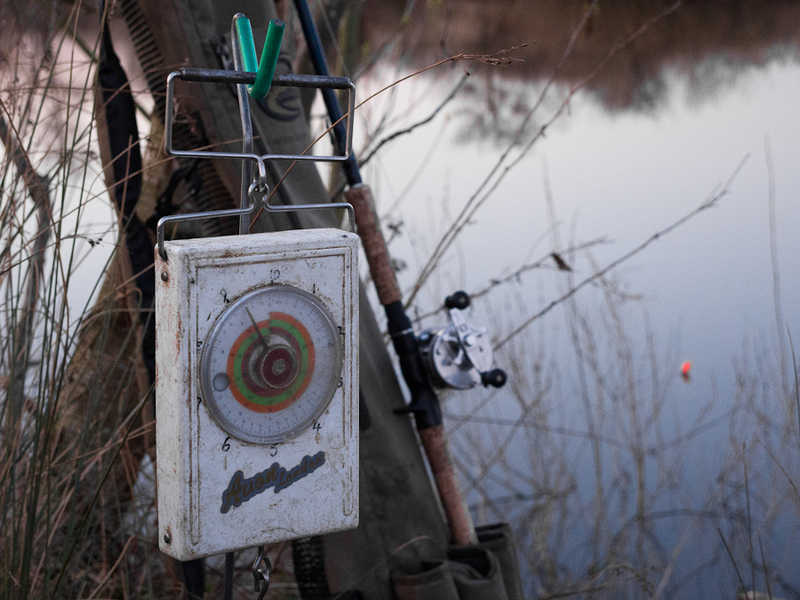 I was just about catching the last rays of the setting sun, a notably cooler feel in the air, whiling the time away playing with the camera taking pictures of the lure rod propped up against a bush and checking the floats between shots. Hang on. There's a float missing! To my amazement the smelt float was on the move. When I picked the rod up the line was slack so I flicked the baitrunner off, turned the handle to engage the reel properly and wound down. What happened next was a a bit of a surprise. Before I could raise the rod to drive the steel home line was stripped from the clutch! What had I hooked? The run didn't last long and I was soon pumping in a decent feeling fish that started to spin. Was it a big early eel? Not so. Even more confusing was the small pike head that popped up. It looked like it might scrape ten pounds, but it felt heavier. As soon as I lifted the net and saw the pike side on it was obvious where the confusion lay. It was as fat as a pig. Built like a trout water porker. I had a pre-weighing guess that the scales confirmed. Fourteen pounds and an ounce or two. Just like the jack it was carrying a few leeches. Shortly after recasting with a fresh smelt, and while messing about with the camera again, I heard a baitrunner whirr briefly. I checked the smelt float but that was stationary. There were ripples coming from the margin float. That was all. I left it a few minutes before checking the bait. I couldn't see any teeth marks on it. A dropped take from a rooter? Or maybe a liner from a margin cruiser looking for a place to spawn? I'll never know. The sun set forming a thin band of orangey red low in the western sky. To the east half a moon had risen high in a clear and starry sky. Time to pack up. On the road back home the gritting wagon was out. Cool nights and leeched-up, lard-bellied pike, make me think there's still time for a few more before the bream and tench rods get an airing. The world is waking up. Birds are singing all day staking claim to territories and advertising for mates. 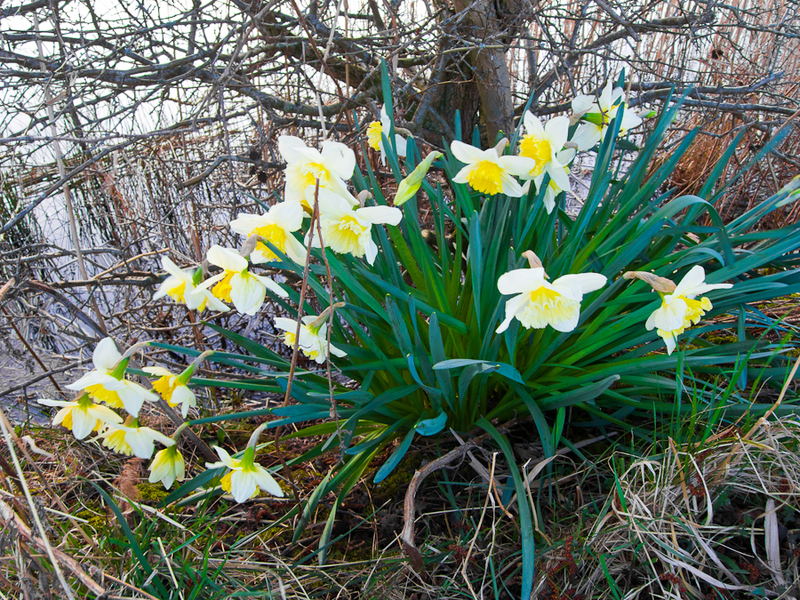 Daffodils are sprouting forth. 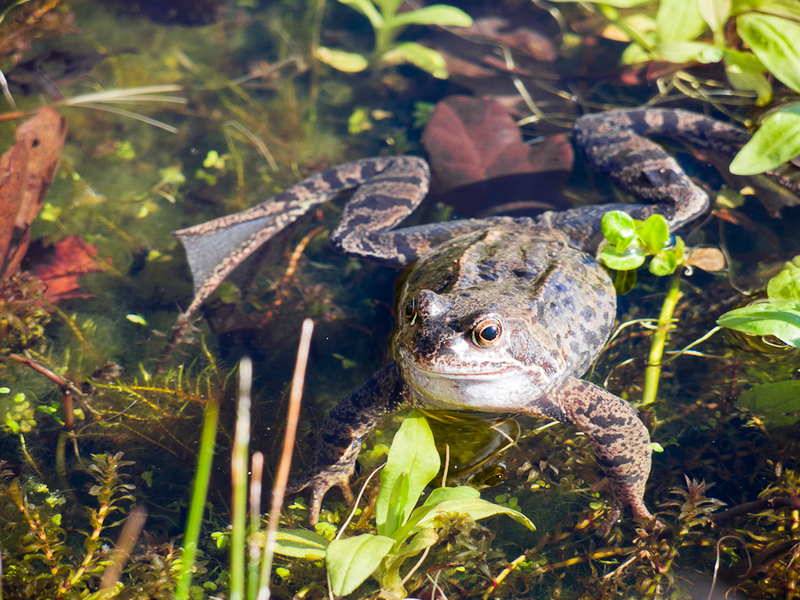 My pond is full of froggy activity.With the sun shining today the window has been open and the constant croaking from the pond has been a background noise. As soon as a bird flies over the twenty or more frogs splashily dive for cover and the normal hum of the day returns - for a while. Last year I caught a brief glimpse of a newt in the pond. Yesterday I saw something white in the weeds which I took for a drowned slug. Closer inspection revealed it to be an expired newt. I fished it out and wondered what had been the cause of its demise. 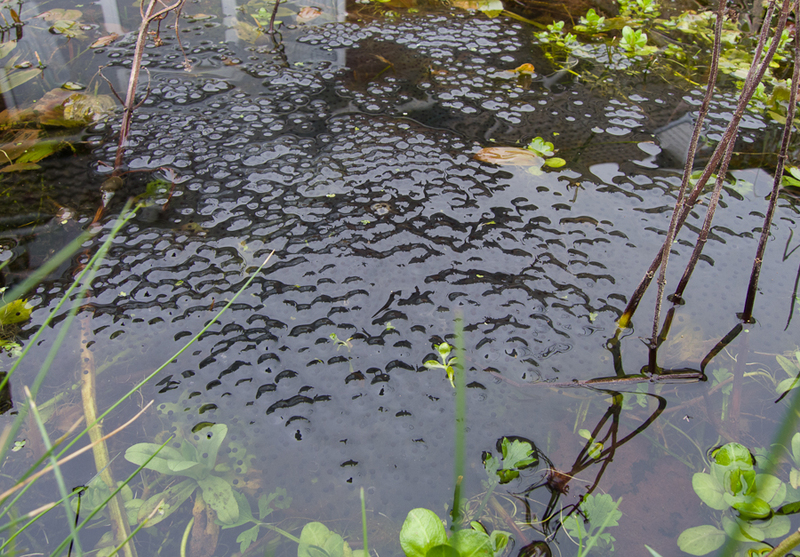 This morning, prior to the racket from the frogs, I saw the first frog spawn of the year. 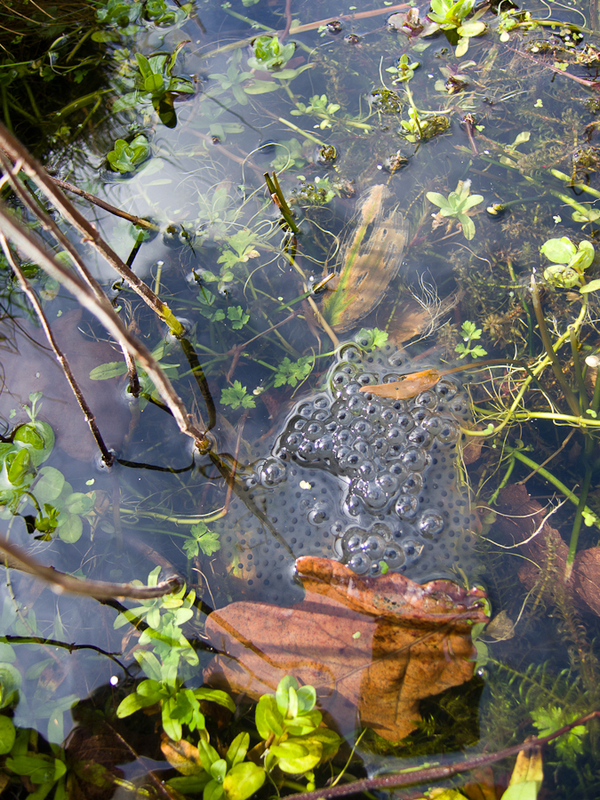 This being a few days earlier than the last two springs when I first spied spawn on the 7th of March. 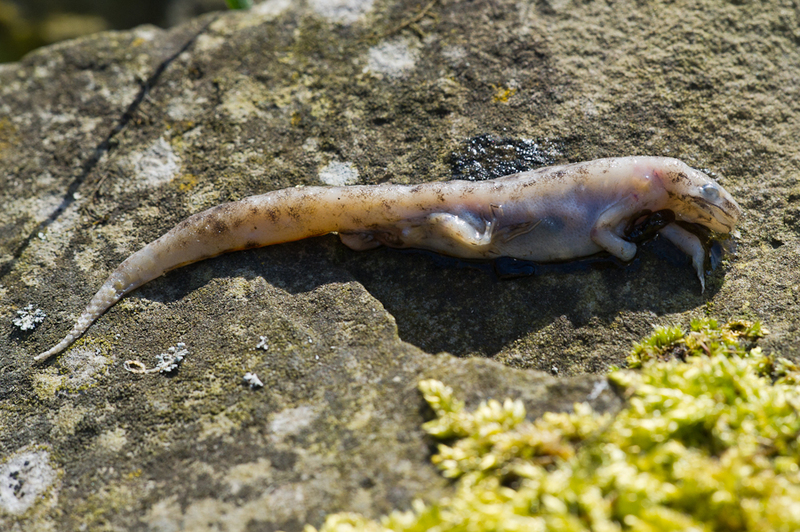 Also the hopping amphibians have chosen to spawn on the south side of the pond away from the gravel shallows where they've spawned previously.